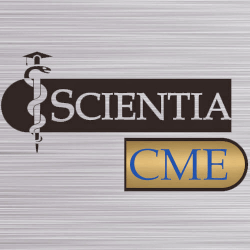 This CME course provides a wide-ranging review of geriatric psychiatry. It reviews best practice guidelines for the management of psychiatric disorders typically found in the geriatric population. The Comprehensive Review of Geriatric Psychiatry course includes case-based lectures on topics such as schizophrenia spectrum, psychotic disorders, mood disorders, anxiety disorders, sexual dysfunction and sleep-wake disorders, ethical and legal issues in geriatric psychiatry, movement disorders, etc. Summary: The 4-day seminar to take prior to examination. This review with syllabus will prepare you to take and to pass examination. Summary: The Psychiatry Board Review Course is a comprehensive, evidence-based review designed to provide psychiatrists and psychiatrists-in-training with modern, relevant, and condensed information needed to pass certification (written and oral exams) and maintenance of certification (recertification) exams. This program is also valuable if you are simply seeking a great way to keep up with key developments in psychiatry. A precise format means topics will focus only on what is necessary to pass your exam and stay current. Leading edge presentations are delivered by faculty selected for their exceptional teaching methods and expertise in specific ‘must-know’ areas.